AGE DISCRIMINATION is an operative fact in the legal profession, including legal education (ask the University of Florida). Excellent, revealing American Bar Association Journal article by same editor who wrote March 1992 cover story about my U.S. Department of the Interior Indian Probate Judges clients -- harassed, intimidated and threatened with firing for defending administrative law judge independence under 5 U.S.C. 3105. A former project finance partner at Stoel Rives has filed an age discrimination suit that claims the firm “isolated, disparaged and harassed him” after learning how old he was. Plaintiff Roger Rosendahl says he didn’t disclose he was 73 when he joined the firm in April 2014. Months later, Rosendahl disclosed his age to an assistant he shared with the office managing partner when applying for a transit reimbursement. The discrimination began soon afterward, according to the lawsuit. The American Lawyer has coverage. The pro se lawsuit was filed in Washington, D.C., superior court in December and removed to federal court on Wednesday. The suit claims that Stoel Rives office managing partner Greg Jenner mocked Rosendahl at the office Christmas dinner by claiming he knew Annette Funicello from the 1950s TV show The Mickey Mouse Club. Rosendahl was excluded from key work he developed for the firm, his work credit and responsibilities were assigned to younger partners, and he was excluded from client pitches, according to the suit. After he objected to the treatment, Rosendahl was fired in December 2017 in a “blindside termination without notice, warning or explanation any kind,” the suit says. That, along with plans to remove his listing on the firm’s website, created “a strong presumption of significant wrongdoing” that would make it difficult to secure another job, the suit says. Stoel Rives relayed information about the firing to clients and a law firm that was a logical place for him to relocate, the suit says. The firm undertook “malicious efforts to end his career” and then offered an “illusory settlement proposal” to maintain Rosendahl’s status at the firm as he looked for another position, even as its disclosures about his firing undermined those efforts, the suit says. The suit also claims the law firm “instituted a behind-the-scenes Soviet-style ‘Inquisition’ ” in response to a comment he made to a female partner at a law firm reception. The comment, intended to break the ice, was, “Don’t you know you’re too nice to be a litigator?” The firm’s investigation lacked due process, and it “wholly fabricated and manufactured events” that had not occurred at the reception, proclaiming Rosendahl “a drunken bigot,” the suit says. The suit alleges: age discrimination, intentional infliction of emotional distress, conversion of origination credit, fraudulent inducement “to play along with [the firm’s] actions,” breach of his initial engagement agreement, breach of the implied covenant of good faith and fair dealing, defamation, extortion through threatening Rosendahl’s standing in the firm, creation of a hostile work environment, and retaliation. Rosendahl is currently listed as a partner on the Nelson Mullins website, the American Lawyer points out. 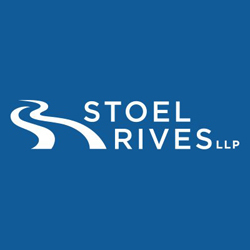 A Stoel Rives spokesperson did not immediately respond to a request for comment.